Oxygen XML Web Author includes a built-in Git Plugin that allows you to edit files stored in a Git repository (with GitHub, GitLab, and Bitbucket integrations). The Git Plugin allows you to access repositories simply by using your GitHub, GitLab, or Bitbucket login credentials. 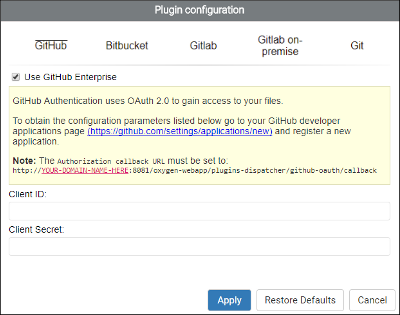 You can configure your Git plugin to allow OAuth 2.0 authentication for GitHub integrations to access files stored in a public or private repository. You will then have access to a Login with GitHub button in the Git Login dialog box. 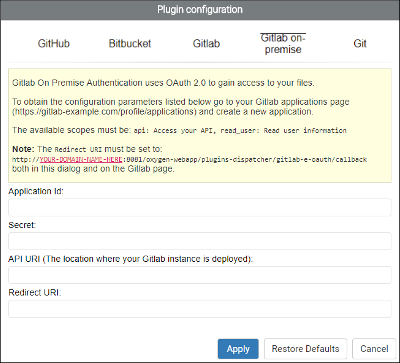 You can configure your integration either by using github.com or with a GitHub Enterprise deployment. Login to GitHub and register a new OAuth application at https://github.com/settings/applications/new. The Authorization callback URL field should include the following path: [OXYGEN_WEBAUTHOR_URL]/plugins-dispatcher/github-oauth/callback, where [OXYGEN_WEBAUTHOR_URL] is the location where Web Author is deployed (for example, http://Your-Domain:8077/apps/webauthor). Click on Register application to obtain the Client ID and Client Secret credentials (they are displayed at the top-right section of the resulting page). In the Plugins section, click on the Configure icon for the Git plugin and select the GitHub tab. Enter the Client ID and Client Secret in the Plugin configuration dialog box. Restart the Oxygen XML Web Author. 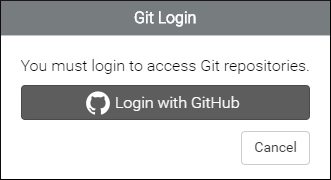 Result: You now have access to the Login with GitHub button in the Git Login dialog box. Login to GitHub Enterprise and register a new developer application. The URL is: [GithubEnterpriseUrl]/settings/applications/new. Obtain the Client ID and Client Secret credentials at: [GithubEnterpriseUrl]/settings/developers. In the Plugins section, click on the Configure icon for the Git plugin, select the GitHub tab, and select the Use GitHub Enterprise option. Enter the API URL, Client ID, and Client Secret in the Plugin configuration dialog box. The API URL is the URL of your GitHub Enterprise deployment ([GithubEnterpriseUrl]). Note: If your GitHub Enterprise deployment uses self-signed HTTPS certificates, Oxygen XML Web Author must be configured to automatically accept the security certificate. You can configure your Git plugin to allow OAuth 2.0 authentication for GitLab integrations to access files stored in a public or private repository. You will then have access to a Login with GitLab button in the Git Login dialog box. You can configure your integration either by using a GitLab or GitLab On-Premise deployment. Sign in or register at https://gitlab.com/profile/applications. Go to Applications and authorize Web Author to obtain the configuration parameters. The Redirect URI should be set as: [OXYGEN_WEBAUTHOR_URL]/plugins-dispatcher/gitlab-oauth/callback, where [OXYGEN_WEBAUTHOR_URL] is the location where Web Author is deployed (for example, http://Your-Domain:8077/apps/webauthor). For the Scopes, select: api, and read_user. In the Plugins section, click on the Configure icon for the Git plugin and select the GitLab tab. Enter the Application ID and Secret credentials. The Redirect URI must be set to: [OXYGEN_WEBAUTHOR_URL]/plugins-dispatcher/gitlab-oauth/callback, where [OXYGEN_WEBAUTHOR_URL] is the location where Web Author is deployed (for example, http://Your-Domain:8077/apps/webauthor). 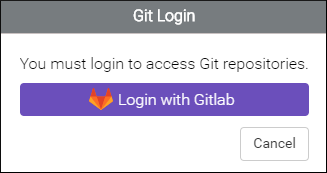 Result: You now have access to the Login with GitLab button in the Git Login dialog box. Sign in to GitLab ([GitLabOnPremiseUrl]/profile/applications). The Redirect URI should be set as: [OXYGEN_WEBAUTHOR_URL]/plugins-dispatcher/gitlab-e-oauth/callback, where [OXYGEN_WEBAUTHOR_URL] is the location where Web Author is deployed (for example, http://Your-Domain:8077/apps/webauthor). In the Plugins section, click on the Configure icon for the Git plugin and select the GitLab on-premise tab. Set the API URI to match the location where your GitLab instance is deployed. The Redirect URI must be set to: [OXYGEN_WEBAUTHOR_URL]/plugins-dispatcher/gitlab-e-oauth/callback, where [OXYGEN_WEBAUTHOR_URL] is the location where Web Author is deployed (for example, http://Your-Domain:8077/apps/webauthor). Important: Oxygen XML Web Author uses the GitLab web API to edit repositories and Git over HTTPS for actions that are not available using the web API. Therefore, your GitLab On-Premise deployment will not work with Oxygen XML Web Author if you disable Git over HTTPS in your deployment. Note: If your GitLab On-Premise deployment uses self-signed HTTPS certificates, Oxygen XML Web Author must be configured to automatically accept the security certificate. In the Plugins section, click on the Configure icon for the Git plugin and select the Git tab. Select the Enable Git submodules support option. Note: The Disable Generic Git option can be used to remove the generic Git button from the Web Author dashboard. Result: You now have access to browse or edit files from GitLab submodules. 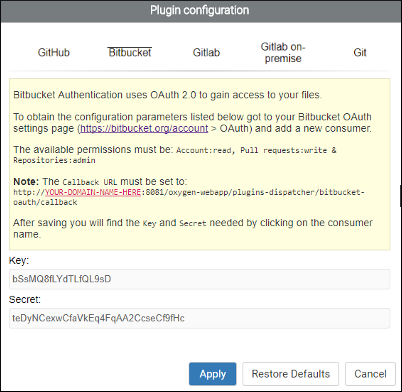 You can configure your Git plugin to allow OAuth 2.0 authentication for Bitbucket integrations to access files stored in a public or private repository. 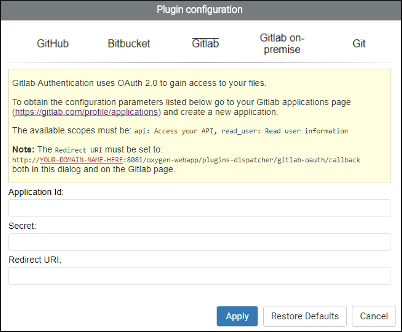 You will then have access to a Login with Bitbucket button in the Git Login dialog box. Login to the Bitbucket and go to the user settings page ( https://bitbucket.org/account). Go to go to the OAuth page and click Add consumer to obtain the Key and Secret credentials. In the Plugins section, click on the Configure icon for the Git plugin and select the Bitbucket tab. Enter the Key and Secret credentials. Result: You now have access to the Login with Bitbucket button in the Git Login dialog box. It is possible to configure a master account for the Git connector so that users do not have to login to edit documents. The following options can be set in the Oxygen XML Web Author options.xml file.